The PlayBitcoin faucet gives you the chance to earn 150 satoshi every hour plus a bonus of 100 additional satoshi if you manage to select the right “cutest animal” from the two photos you see. 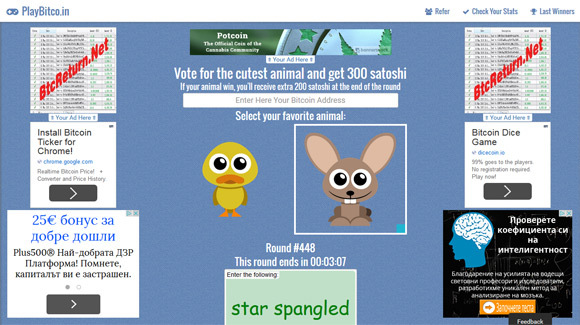 At the end of each 10 minute round a check which is the most voted animal is made and all users that voted on that animal will receive an extra reward of 100 satoshi. Note that if you won the voting round, the extra 100 satoshi reward will be added to a pending balance and you receive it the next time you send a vote. 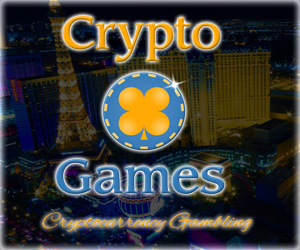 The reward goes to your Bitcoin Address using FaucetBox, it’s automatic, you don’t need request cash out. FaucetBox on the other hand has a minimum of 13000 satoshi before everything you collected there will be sent to your actual Bitcoin wallet. And apart from the every round each hour you can also collect more coins from other places that use FaucetBox as a micropayment service as all satoshi will go into a single account that you login with using your Bitcoin wallet address. 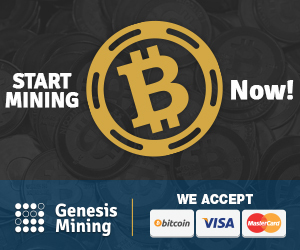 There is also an additional referral program that can help you get some more extra satoshi by inviting your friends to also try the PlayBitcoin faucet and as they earn some satoshi you will get 30% of every reward of your referrals as an extra bonus. Don’t worry, your friends will still get paid the full amount they earn.